The St Helens star earned a comprehensive 7-2 victory over recently-crowned UK Open Champion Nathan Aspinall in Nottingham on Thursday night. Ten missed doubles in the opening three legs from contender Aspinall allowed Smith to punish his rival and take a 3-0 lead before a mid-match rally from the Stockport player saw him land a 158 checkout to bring the score back to 5-2. 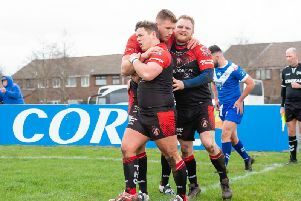 However, Bully Boy was not to be denied and won it in style with a 127 check out, his second ton-plus finish of the match, to double his tally of wins in the 2019 campaign and climb away from the elimination zone. "I was trying so hard out there to make sure I wasn't the first player to be beaten by one of the contenders," said Smith. "I don't think I played well but the only thing that matters is getting the two points to keep me clear of the relegation zone. "My goal is to make sure I get past Judgement Night and then make a real push towards the top four and maybe go one better than last year." Smith will be hoping for a similar results in round seven of the competition which will be held at the Mercedes Benz Arena, Berlin, on Thursday. 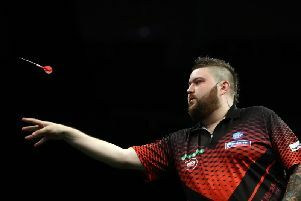 The local lad will come face-to-face with fellow struggler, Serbian-born Mensur Suljovic, who is now operating out of Austria, and hoping to add to the five points already in the bag.